Photo courtesy of Michael Hardy. 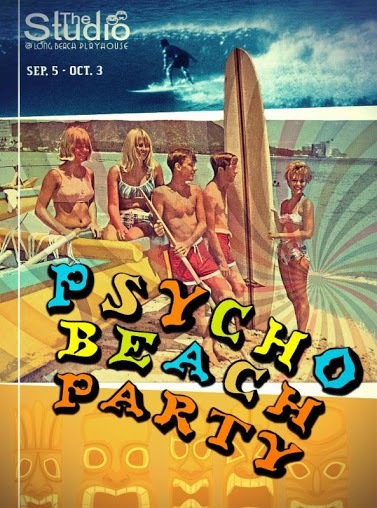 In Psycho Beach Party, playwright Charles Busch tosses together a far out mishmash of Gidget, Joan Crawford, beach parties, surfers, Hitchcock and slasher movies. Delighting audiences since 1987, the show has played off-Broadway, at international festivals and in community theaters. The Long Beach Playhouse production will be directed by Dale Jones, who has several Playhouse productions under his belt, including 2014’s popular The 39 Steps, a comedic twist on Hitchcock films. In Psycho Beach Party he brings that same knowledge of film genres and artful parody to the piece. “This show is fun and it’s twisted, it’s perfect for Dale. And it’s perfect for the Studio Theatre audience,” said Andrew Vonderschmitt, executive and producing artistic director, in a statement. Psycho Beach Party has also given Donna Fritsche, manager of the costume shop, the chance to show off her ample talents in capturing a vintage vibe with her eye-catching designs. 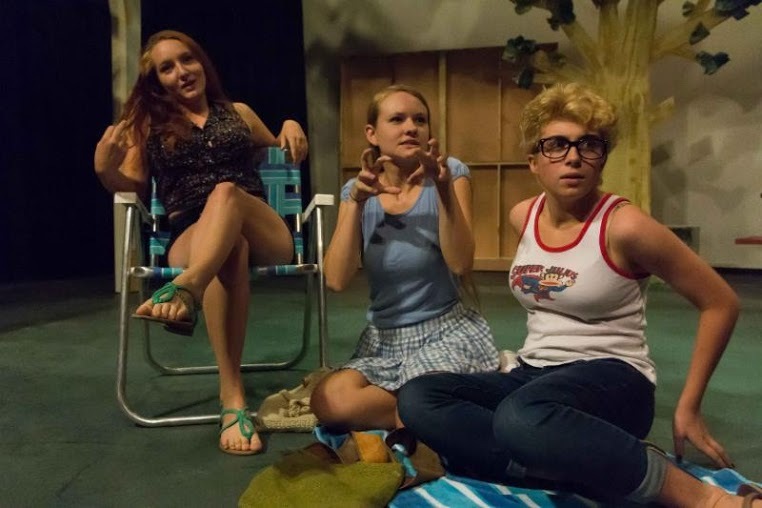 The costumes are so accurate, in fact, that during the play you might imagine yourself within the pages of Surfer Magazine circa 1962. The 11-member cast is a combination of debut performances and returning actors to the Playhouse stage, while several of the cast are drama students from schools including Renaissance High School in Long Beach, Orange County School of Performing Arts, Cypress College, LBCC and CSULB. Special events for the play will include a Pay What You Can performance on Thursday, September 3, a Two for One Preview on Friday, September 4 (tickets are $12) and the Opening Night Champagne Reception with the cast on Saturday, September 5 for $27. Regular performances are 8:00PM Friday and Saturday and 2:00PM Sunday. The box office is open Wednesday through Saturday from 3:00PM to 8:00PM and Sundays from 1:00PM to 2:00PM on scheduled matinees. Adults are $24.00, seniors $21.00, and Students $14.00. Tickets are available on the Long Beach Playhouse site here or by calling 562.494.1014, Option 1. Long Beach Playhouse is located at 5021 E. Anaheim Street, Long Beach, CA, 90804, right across from the Long Beach Recreation golf course. The Playhouse is a community-supported theatre with programs and events that cut across age, gender, ethnic, and cultural boundaries.